Other Notes: Malt – 2-row, Golden Promise, Aromatic, Medium Crystal, Roasted Barley. Hops – Warrior, Ahtanum, Cascade, Simcoe, Amarillo. 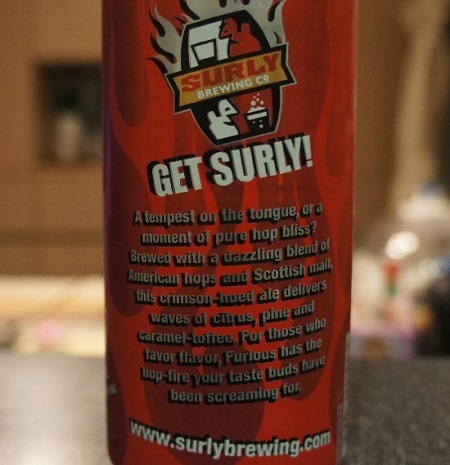 Brewer Description: (from can) A tempest on the tongue, or a moment of pure hop bliss? Brewed with a dazzling blend of American hops and Scottish malt, this crimson-hued ale delivers waves of citrus, pine and caramel-toffee. 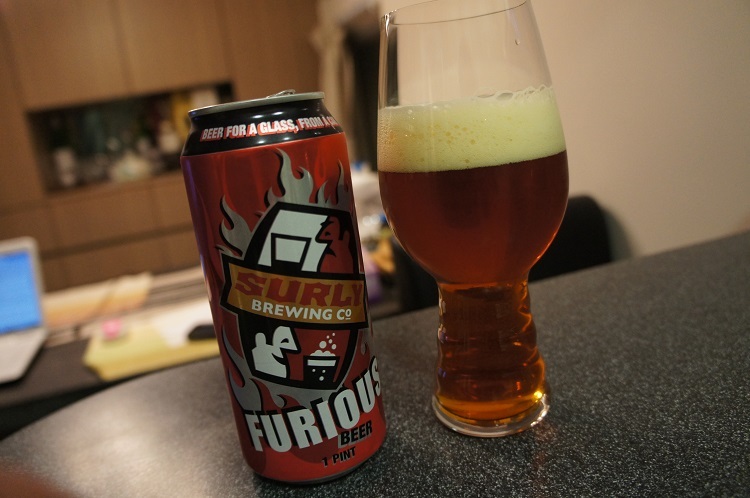 For those who favor flavor, Furious has the hop-fire your taste buds have been screaming for. 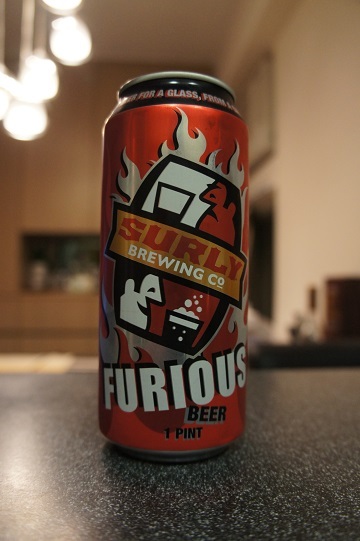 Intro: A 16 fl oz can canned on 8th July 2015 and poured into a Spiegelau IPA glass. Appearance: It poured a clear copper amber colour with slightly less than two finger white head that leaves spotty lacing. Aroma: Tropical fruit especially mango, peach and apricot, caramel malt, biscuit and hints of grass and pine. Taste: Less fruit than I expected. Mainly malt, biscuit, caramel and lasting piney bitterness. Maybe a hint of citrus grapefruit, and its peel, but not much. 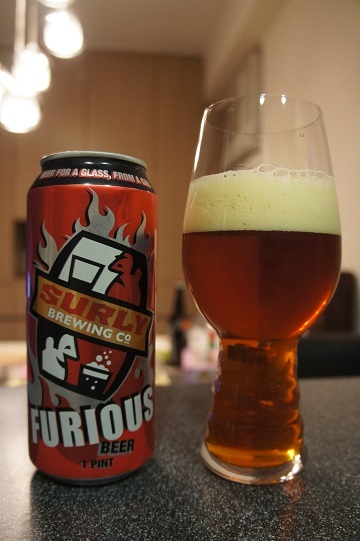 Overall: A very nice IPA. It was a lot less fruity than I expected after taking a whiff of the aromas, but the malty and piney hop bitterness was balanced and very good.